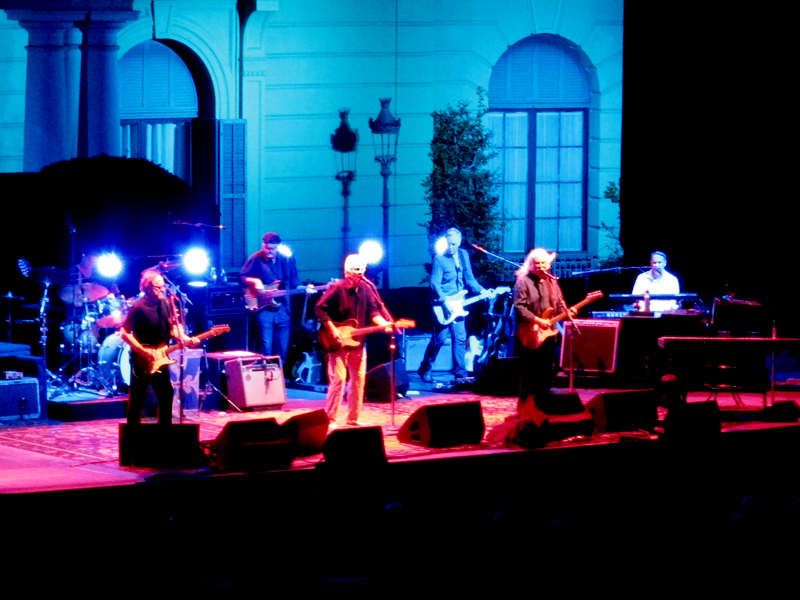 We went and saw Crosby, Still & Nash when they played here last Monday. They were like I had expected, old. Crosby and Nash did pretty well but Stills has lost the plot completely, but I think he did that 40 years ago with his cocaine fueled hubris. He can’t sing any more, which could happen to the best of us, so he decided to just play endless guitar solos instead. I’m not sure if he is in to free-jazz but the solos sounded horrible and they seemed to never end. And they sounded a bit like this, without Stills of course. Please excuse the shaky hand of the camera man, he was trying to drink bourbon out of a hip-flask at the same time. It was nice to see a couple Gretsch White Falcons on stage though, which reminded me of a pretty awesome new Japanese Telecaster I saw a few months back. The Fender Japan TN72G-FT/MH SWH, a Telecaster version of a White Falcon. I guess it could be a bit much for a lot of people with all the gold but I love it. However, I’m not sure if I’m willing to pay ¥230,000 for it, it’s about $2,270. They seem to be pretty hard to find in Europe but here is an eBay seller that sells them for 1740€ plus shipping and import taxes. I guess I have to wait a few years until they appear second hand for hopefully a bit less.